This time, I went to A.A. knowing that I needed help. I arrived at the meeting about 15 minutes before it started. I didn't know anyone there so I felt more comfortable when people began to introduce themselves to me and shake my hand. I poured a cup of coffee and took a seat at one of the tables. 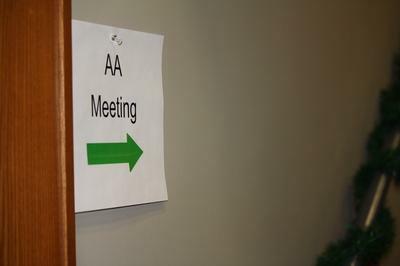 I had attended plenty of A.A. meetings prior to this one so I more or less knew what to expect; I just thought it may be different this time because now I called myself taking it serious. I knew I had a problem, and this time I was genuinely in A.A. to figure out what was wrong with me and why I couldn't stop drinking. When the meeting began, the chairperson read different pieces of literature and eventually asked if there was anyone visiting (that particular meeting) for their very first time. He asked that those people stand and give their first name and last initial - not to embarrass them but to welcome them. I stood up and said, "Hi. My name is Vernon A., and I'm an alcoholic" (I introduced myself as an alcoholic because it was customary, but I still didn't know if I was one or not). The people then applauded and welcomed me to the meeting. The chairman then told me that I was the most important person at the meeting. I fit the description of what the literature described as an alcoholic. 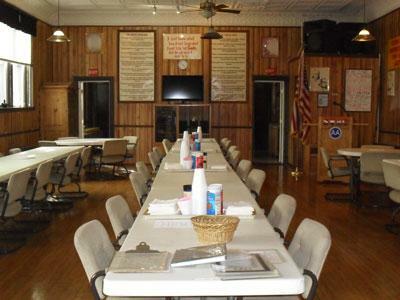 I sat at a table that read and discussed the 12 Steps and 12 Traditions of A.A. The table leader agreed that we were going to read and discuss step 1 of the 12 Steps. Step 1 read, "We admitted we were powerless over alcohol - that our lives had become unmanageable." As we took turns - going around the table- reading from the literature, I began to realize that I fit the description of what the it described as an alcoholic. I felt like the literature was talking about me because I could relate to everything it was saying: not being able to control your alcohol intake after taking the first drink, at times being mentally obsessed with alcohol, having to hit rock bottom before reaching out for help, etc. I had read this before in the past but this time it felt so much different. I felt like the wall I had up before was coming down and I was now able to really absorb this information. We finished the literature and the table was then opened to anyone that wanted to share/talk. I had no clue what I was going to say but I knew I wanted to say something. I had so much on my mind and heart as to how I had ended up at an A.A. meeting in Detroit ready to take the program serious this time. As people around the table shared, I noticed that they were all saying things I could relate to. Like the literature had just done, I now felt like the people sharing were talking about me. They shared things such as how bad their alcoholism had gotten, the reasons why they drank so excessively, losing jobs, losing self-respect, damaging relationships, etc. Some people shared about how things had gotten better for them after working the steps of the program. I was shocked when I heard people say that they had long periods of sobriety. I heard one guy say he had 18 years sober and I almost thought he was lying. Since alcohol had turned me into so much of a liar (at times), I had automatically assumed that I would encounter some lying in A.A. too. Finally, it was my time to share. I spoke from my heart. I told them that I knew I was an alcoholic and that I had been in denial for years. I told them that I was able to relate to everything in the literature and everything that was shared around the table. I told them I was ready to get sober, and stay sober. I told them alcohol had ruined my life. I went on to give them examples of some of the trouble I had gotten in to that lead me to A.A. I told them that for years I knew I had a problem with alcohol, but I thought I had it under control; and after getting in more trouble and realizing I couldn't control it, it had finally become obvious to me that I was an alcoholic. After I shared, I instantly noticed that I just simply felt better. It's hard to describe, but my spirit felt cleaned. I felt like I had finally had the courage to face a fear I had been running from for almost a decade. And it felt great! The most important thing is, I had accepted the first step of A.A. I had admitted that I was alcoholic, and that my life had become unmanageable.